This will give you a sense of scale of the newest work. 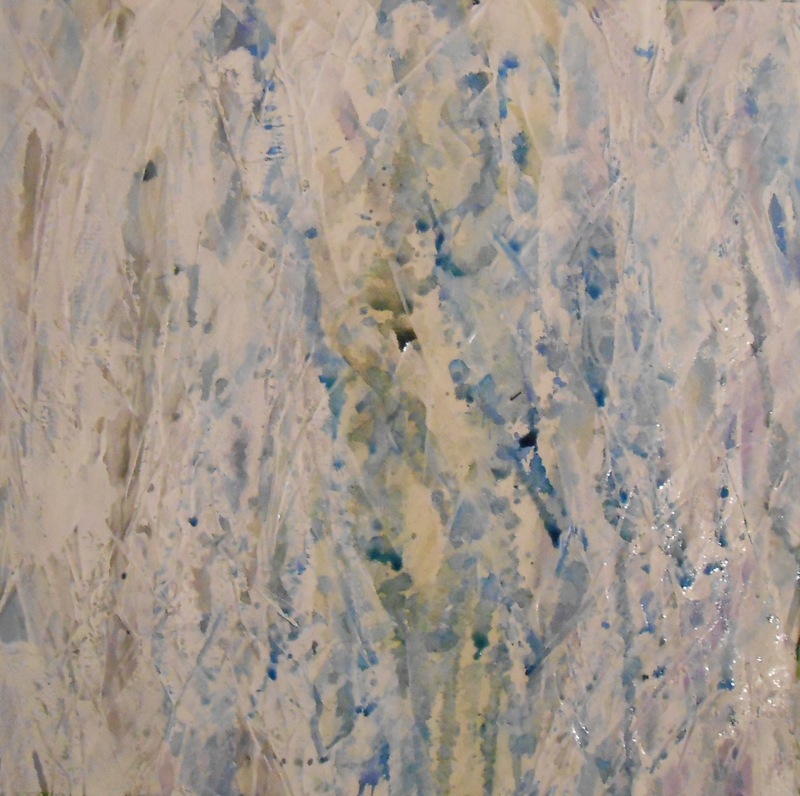 “Untarnished Symphony” is 98″ x 69″. I’m short at 5’1″, but still, they are quite large. 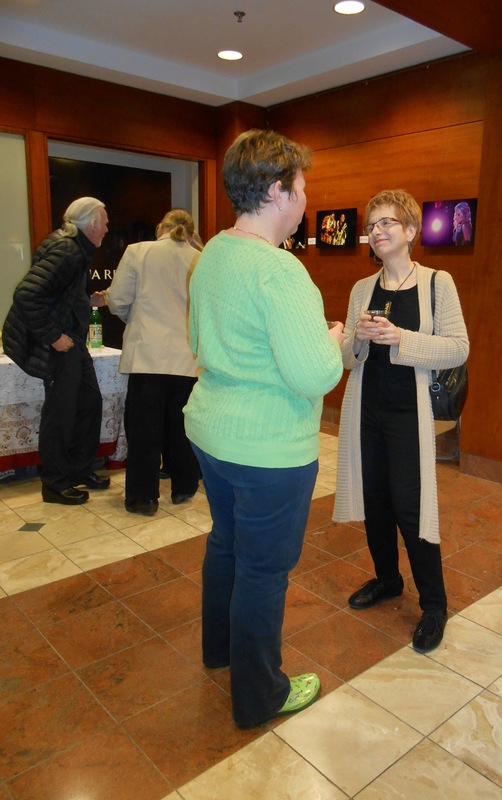 The opening reception was small, but pleasant-attended mostly by friends, and a few of the faculty and students. I would now like to use this show as a place to talk to galleries in the area. 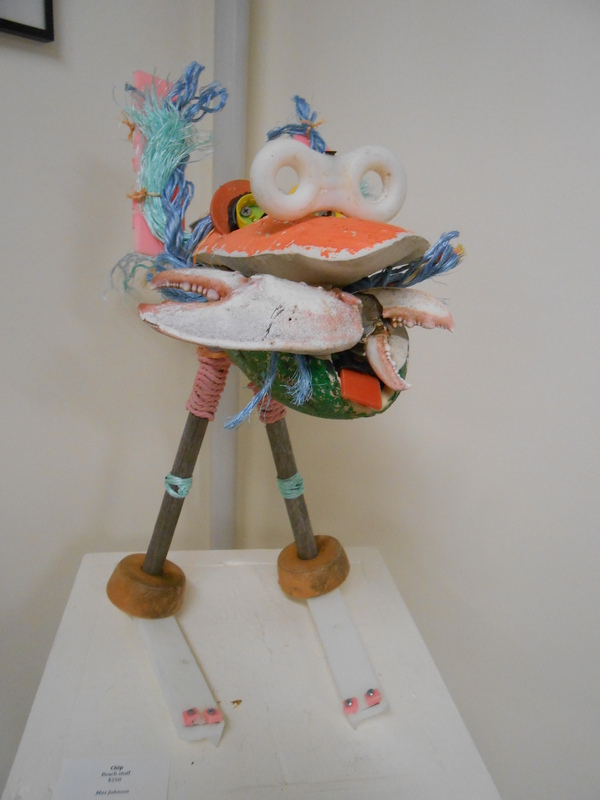 It is up through April 28th at Great Bay Community College in Portsmouth, NH. Please feel free to contact me at artinsmallplaces@gmail.com. 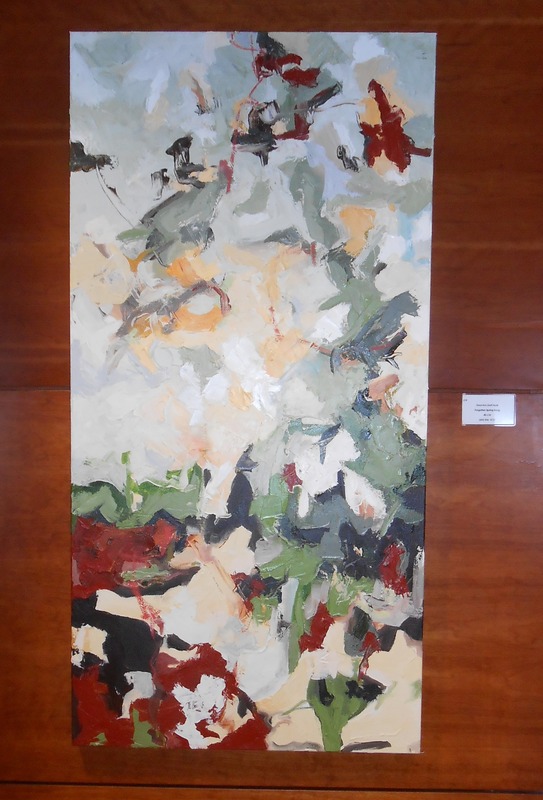 The featured piece for this show by Great Bay Community College is “I Cried About Paris. Twice”, shown above. 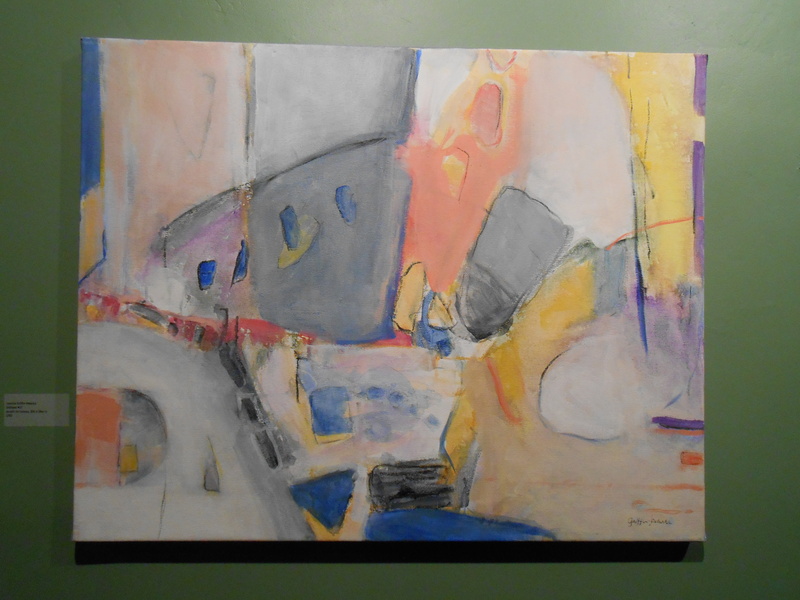 This piece is 36″ x 48″, and oil on canvas. The tragedy in November was the catalyst for this piece. It also felt very close to “home” since my sister had been in this part of Paris less than 4 months before. There is no piece in this show smaller than 48″ x 24″, so I am saying that this is the largest show I have ever put up, even though there are only 13 pieces total. Both of these pieces are examples of what the college refers to as my “fearless use of color”. They also demonstrate the two predominant styles in the show. These larger pieces need to be treated with thin paint because of the instability of the painted surface. However, more expressive stretched canvases are worked primarily with a knife. The inspiration for “Fancy Parade” and “Untarnished Symphony” is the celebration of life and color. I recently also lost my mother and an old dear friend. They are memorialized in the two “Pacific Suite” pieces. I also just heard that a good friend’s brother has passed-I may pay a small tribute to him in the same way. This is “Pacific Suite: Sandpiper and Santa Barbara”, 36″ x 48″, oil on canvas. This show is up through April 29th, with an opening reception on March 10, from 5-7. 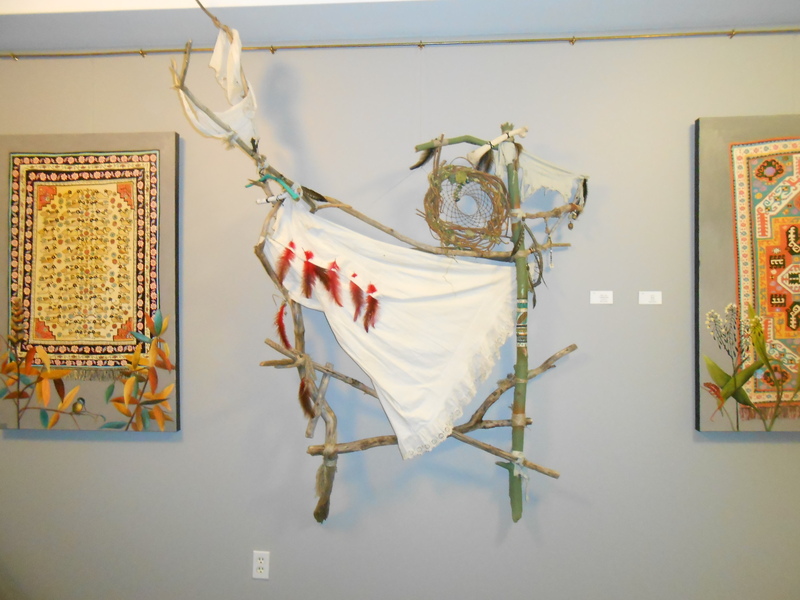 Gateway Gallery is located in the main foyer of Great Bay Community College, 320 Corporate Drive, Portsmouth, NH 03801. The public is welcome to visit during college hours (see their website) and to attend the reception which will be catered by the Green Bean Restaurant. The season has opened with a bang in the area, and I have gotten quite a bit of attention. That does not bother me or hurt my feelings, but it does change priorities! Last Monday, I was able to secure the June slot at the Gallery 280, which is part of Portsmouth Public TV in Portsmouth, NH. I had submitted twice before, and heard nothing back. They changed directors, and I met with the new one last Monday. This will be a two-person show and includes a half-hour interview segment, which will air every Thursday during the month of June. Cool and intimidating!! (I will have about enough room for 20 of the ReDeFine series). That show will open June 4th. I also have 4 pieces in an upcoming show at artstream gallery in Dover, NH called “Love Letters”. These are all postcard-sized pieces. That show opens late in May. The Gallery at 100 Market Street submission is due very soon, but the curator has expressed interest in the “Portrait” series. That show will open early June. Blackbird Studio and Gallery reopened with resounding success with the Carolyn Chute visit and book-signing. We had our first official reception last week-end and had a good turn-out and sales!! Our next opening reception will be May 30, and I plan on having NO work on the walls. I am starting to install a very large installation piece on the property over Memorial Day, and I am developing it daily! 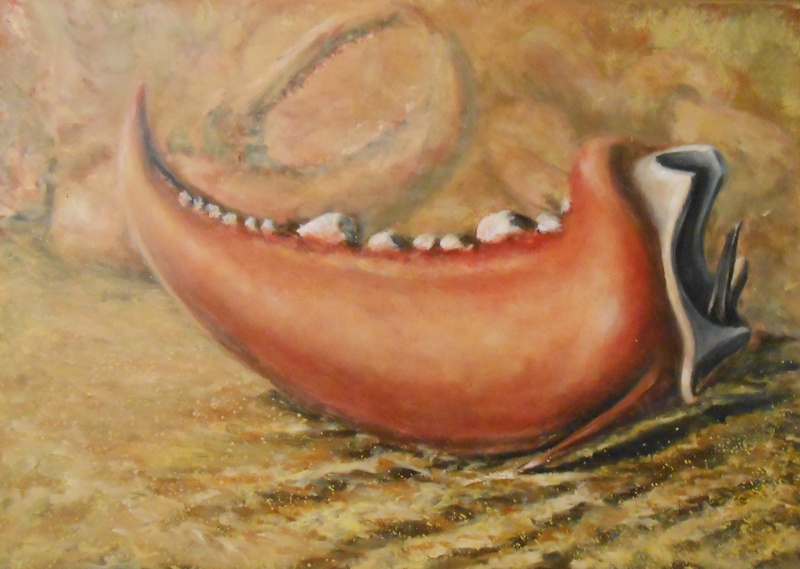 Oh yeah, and the high point, and the reason for this post…I have been nominated in the “Outstanding Painter, Non Traditional” category for the Seacoast Spotlight Awards Editors’ Choice and I am also on the Readers’ Choice ballot. This nomination alone is a huge validation for hard work! And, the group I am “against” are really good painters and I am friends with one of them for the Editors’ Choice. I am friends with several for the Readers’ Choice. http://www.seacoastonline.com/article/20150507/ENTERTAINMENTLIFE/150509688/101164/ENTERTAINMENT This is the explanation, and listing for the Editors’ Choice. For the Readers’ Choice ballot, please visit this link: http://www.seacoastonline.com/article/20150507/ENTERTAINMENTLIFE/150509688/101164/ENTERTAINMENT. In the third paragraph, it says click “here” and that takes you to the survey/ballot. And, this will be very hotly contested, so I’d love as much help as possible!! Thanks!! 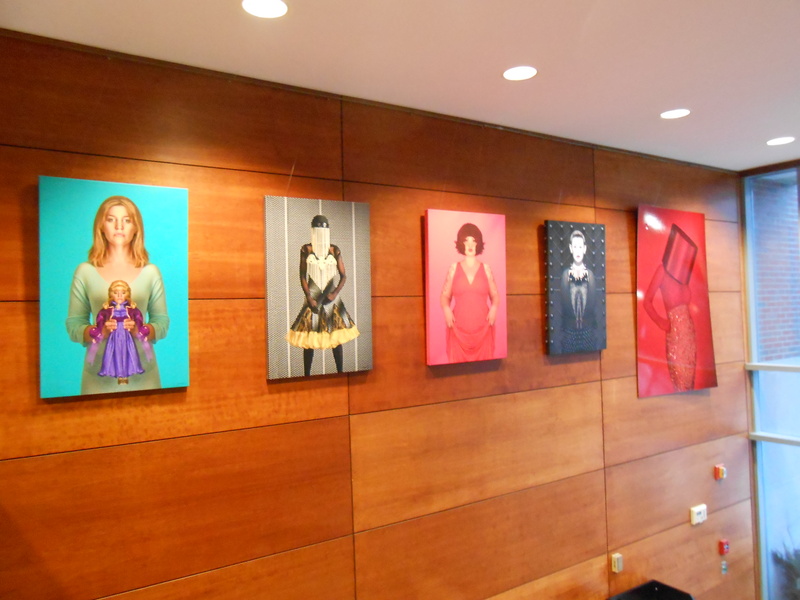 My show at the Rochester Library looks awesome too. That runs through the end of May. My only excuse for not writing is the number of shows I am preparing for has kept me at the easel, and that’s not a bad excuse, but there is much to catch up on. The Gallery at 100 Market was a huge focus of the week. Since all of my big recent work is in Sanbornville, I spent most of last weekend and the early part of the week finishing, shooting, and getting the submission ready for that deadline. She took two pieces, no question. 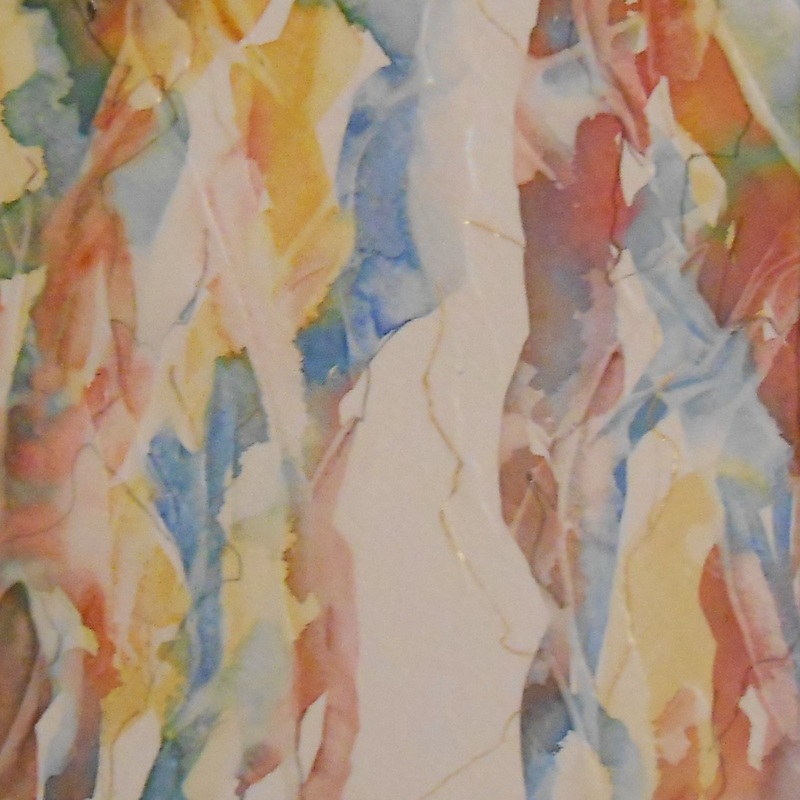 “Mixed Precip and Hot Chocolate”, (c)Daryl-Ann Dartt Hurst, 2015,mixed media on paper. “Fading Memories of Drama”. (c)Daryl-Ann Dartt Hurst, 2015, mixed media on paper. We had a major conversation about the newest work because it’s large, and as much as she wanted it, she needed to really look at space. Ah, the fine art of curation, and since I show at 100 Market regularly, and I want to show the Meez portraits together…we came to a mutual agreement that these would work for this show, and the rest can wait. I am hoping at some point to get a featured slot there, because this is a great alternative space. There has been a deterioration of the “Art Around Town” circuit since 3 Graces closed. That was a sad day for many of us. But it was nice to see Kim Ferreira’s “Jackalopes” at Nahcotta tonight-a pleasant reminder that the reason why she closed her gallery was to devote more time to her art. The decision to venture out tonight was because I am a fan, follower, and friend of Jeannie Griffin-Peterka, and I am proud to say she was my nomination for her solo at the r.mfa. I needed to see this show. I support my artist friends and I love to see their new work. Her show was at Zev, the opening was 6. “Art Around Town” starts at 5, and I was in town shortly after. I stuck my head in Kennedy Studios, took a peak and wandered down to Nahcotta. Fair warning-wear great snow footwear. Yikes! Walking was an interesting task! Nahcotta’s “Enormous Tiny Art-Winter, Show #17” was a really nice change from what they had up last week, which really felt like…this is what we had in the backroom, with no cohesion at all…but we needed something on the walls. I know from having been in enough galleries in the last 38 years, that happens. January is a peculiar month. So, no fault to the gallery for that :). There is some great work in this show, and based on the red-dots, the show is being well-received. 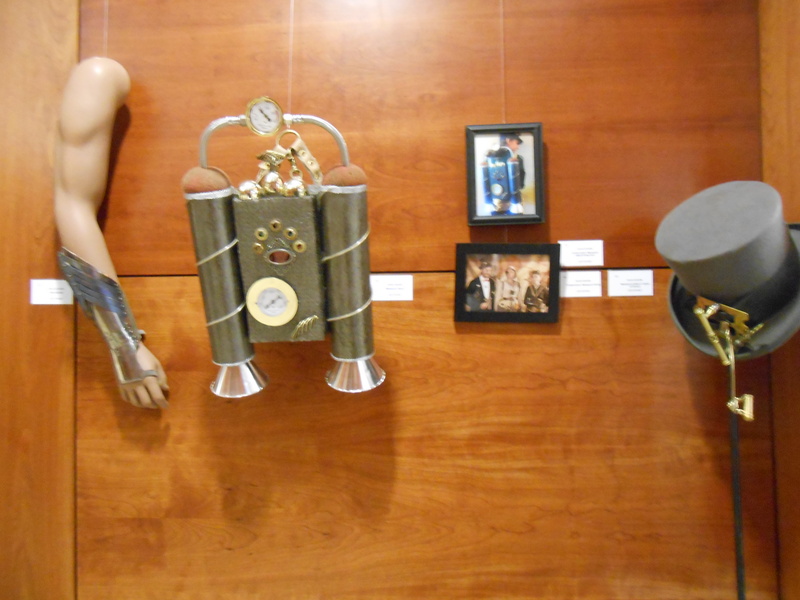 I particularly liked Amanda Kavanaughs’ pieces and Kate Todaro “L3 to the Red Line” series. I cheated with the camera, because I noticed another person writing and capturing images on his phone. We actually ended up having a conversation about the show, and about what he felt was redeeming, etc. I did think it was fun to be not the only one doing this and Marc and I also shared some “big city” thoughts on the way art is reviewed. There are small details in this painting that she doesn’t always include that I like. This piece almost feels like a cityscape, which grounds it, and I think that’s a quality that I am responding too, as well. So, I am home and warm and expecting more snow, and then…more snow…with more snow. Perfect painting weather. I was feeling like I was either sliding on ice, or my paint really needed a little hint as to where land on the canvas. So, rather than set up shop, I decided to do some business and hopefully get some hints as to what to try next. I started with Timeless Frames. I ordered mat board, and priced frames and talked about setting up a solo show there in the next couple of months. The work that is up there is work from the BAA that has been up since last month. So, no new work to see. From there, I went back to downtown Rochester to RiverStones Framing and Gallery. A colleague told me that the owner would be interested in showing the BAA so I wore my Show Coordinator cap, and strolled in. Kris was very receptive and marked us on her calendar for July. 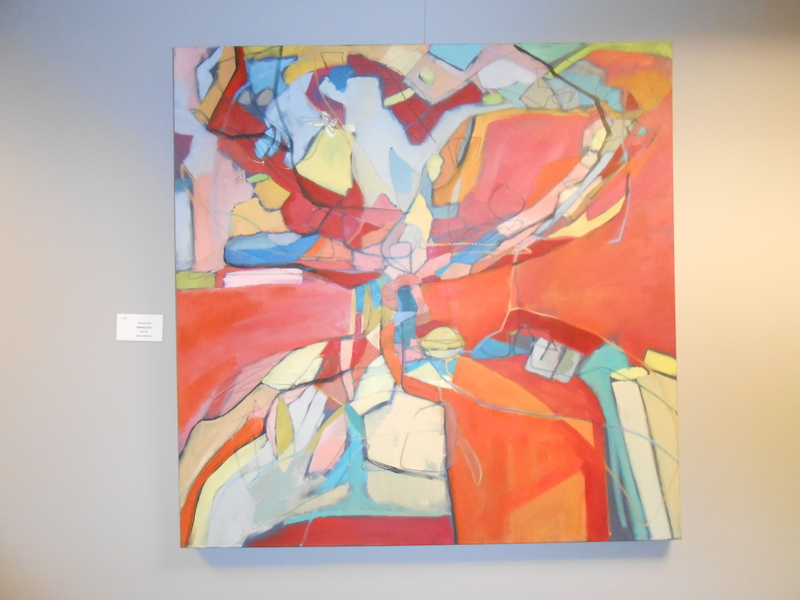 As I was chatting with her, Ross Bachelder showed up to hang his show, and the three of us discussed an upcoming show at Drift Gallery at Zev Yoga, a solo by my dear colleague, Jeannie Griffin-Peterka. That’s an opening that I am hoping to not miss. Ross’ opening at RiverStone’s, 33 North Main Street, Rochester, NH will be next Saturday, from 12-3. I drove to Dover, and artstream wasn’t open. 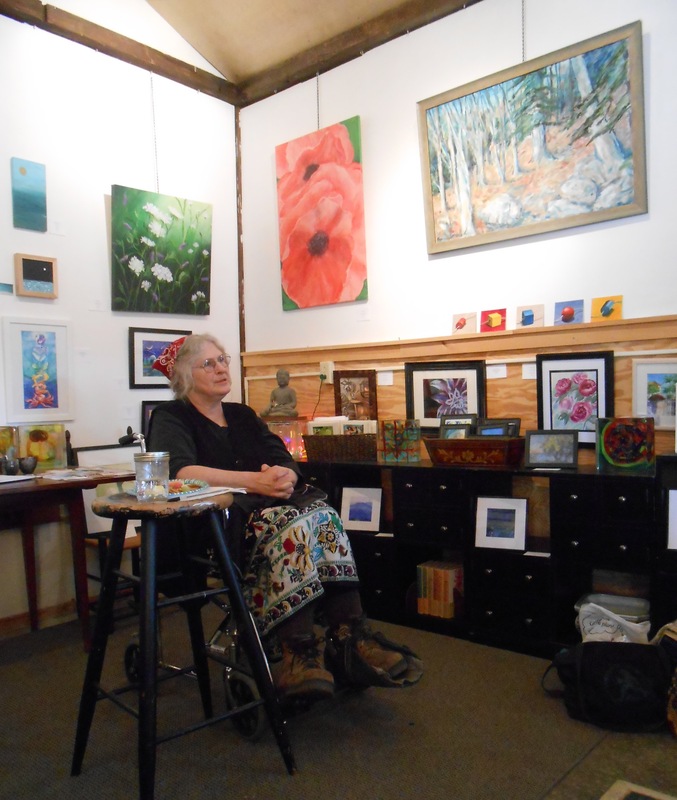 Mill River Custom Framing & Art Gallery no longer shows art, but it was “old home week” because I showed with Sandi when her shop was in the Rollinsford Mills. We had a good chat. Next stop was Michaels for foam core. As per usual, I always seem to be asked a technical question when I am in the store, and today David needed to know what gel medium was. I happened to be looking at canvases, in the same aisle. Timing is everything. Nahcotta gave me something to look at, though I can’t gush about much that I saw. I do like Jeremy Miranda’s work, so I’ll start there. Because I “borrowed” this image from Pinterest, I can’t enlarge it much further without distorting it completely out of recognition. 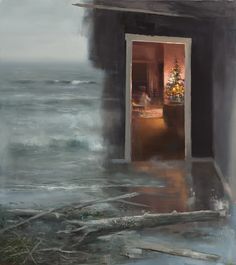 I don’t like all of his work but where he rips away a wall to these really homey, pleasant spaces, exposing them to something a great deal less comfortable I find to be captivating. They brilliantly describe how vulnerable everything is without taking out the floor or the roof. And, I love how quiet they are. Who knows what’s going on with this depicted Christmas. I come from an alcoholic family, where Christmas could really be ugly, when I was growing up. Or not. But, I can relate to those waves. As a child, I never really knew how rough the surf would be. I will cut Nahcotta “slack” because this really is off-season, but the rest of the show was “off”-not hung as well as they usually present work, and didn’t have any real flow. I also stopped at the Portsmouth Library to get info on who to contact for the BAA shows, and the librarian was lovely and gave me a few more suggestions as to who in Portsmouth to contact. The final stop was the Levy Gallery (NHAA). 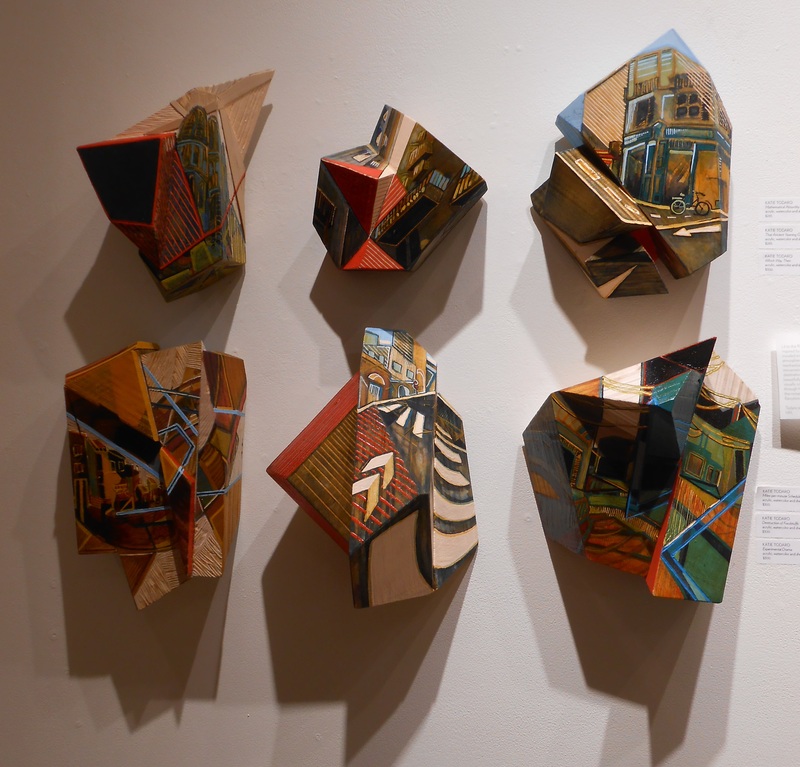 I never saw all of the SHAPES show because I was instantly drawn into the side gallery when I noticed two pieces by my compadre Elaine Mendzela on the wall. She is one of the new members. 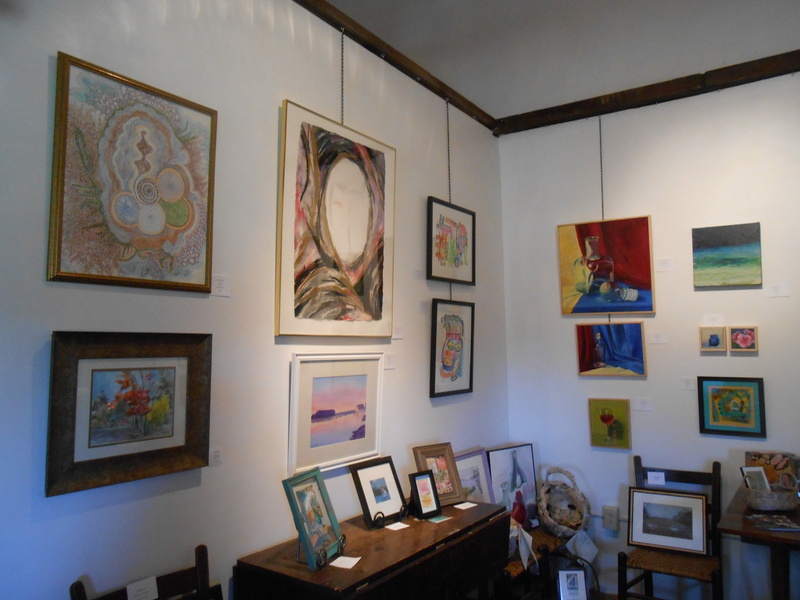 When I came back to the main gallery, I was caught up in conversation with Barbara Alberts, who is also a new member. Barbara is a new transplant from Pittsburgh, and is now a new friend. So, a day about reconnecting and connecting and new connections. I can safely say that I saw some very high quality art today!! What a treat! And, I had “time to kill”, which as an artist means that I need to find something to draw on or, take in the answers others can give to you from their own visions. So, the perfect excuse!! 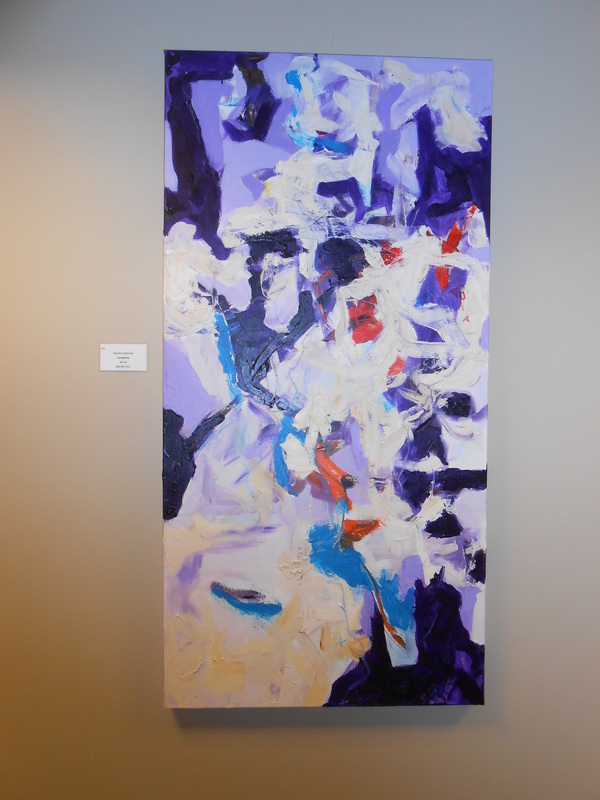 I have been meaning to get to the Gallery at 100 Market Street in Portsmouth to walk this show. I show here fairly often and the parameters of this show would have necessitated new work that I had no time to create. But, because I have a great respect for the curator and the quality of the work that she presents, I needed to make it a point to see “Guise, Garment and Textile”. OK, I was hooked right here! The props and the photos of them on the “family” made it all too relevant. It almost felt like “Antiques Roadshow” where a participant shows up with the antique and all sorts of provenance. David Mendelsohn is an acquaintance I very much admire, though he does push a feminist button or two with his work, when he eliminates heads and covers them with hat boxes. 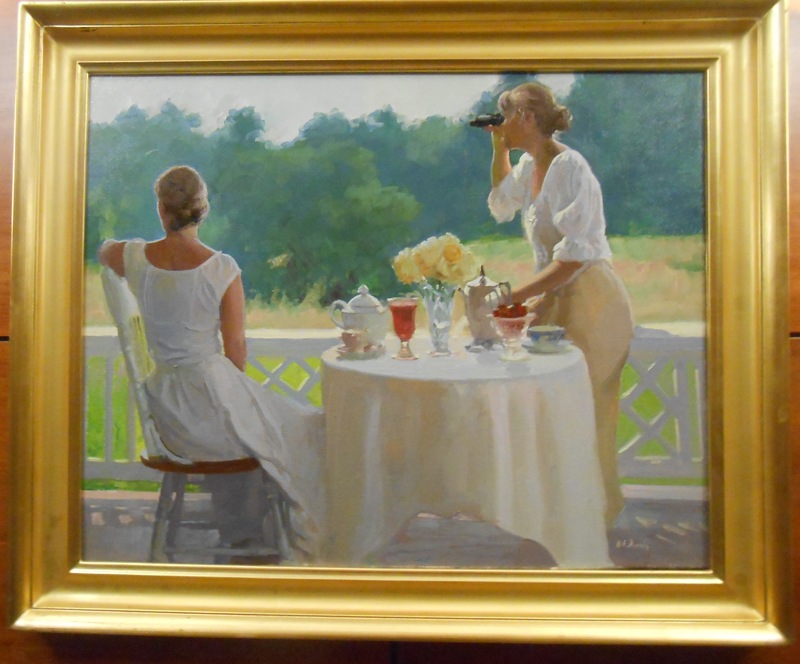 Denis Perrin’s work, including “Watching for Swallows” was so historically perfect I had to wonder if he was born 150 years ago. Style, paint and application was too incredibly European Impression, almost Berthe Morisot. The 3rd floor belongs to Caroline Rufo. This articulate abstract craftswoman reinvents the likes of Richard Diebenkorn and all other painters who have taken their compositional inspiration from aerial photography. Her titles, like “Seeking Union” also allude to architecture and building, in the emotional sense. “Seeking Union”, (c) Caroline Rufo. Oil on board. But, there is sometimes a sour note in a show this well executed. And, it is on the 4th floor, which tells me that it is good enough for the show, but maybe it needed to be on the 4th floor-for political reasons. I am native American, so a piece like this entitled “The Raiding Party” was not a happy end. From purely aesthetic principles, a well-articulated and executed piece-but it smacks of knowing nothing of the Trail of Tears or any of the other atrocities that my people dealt with. Overall, this show is one of the best that Portsmouth has offered in a long time. And, since I am very pro First Amendment, I applaud all of the work in this show, whether or not I agree with politics or philosophy, because of the quality of the execution. 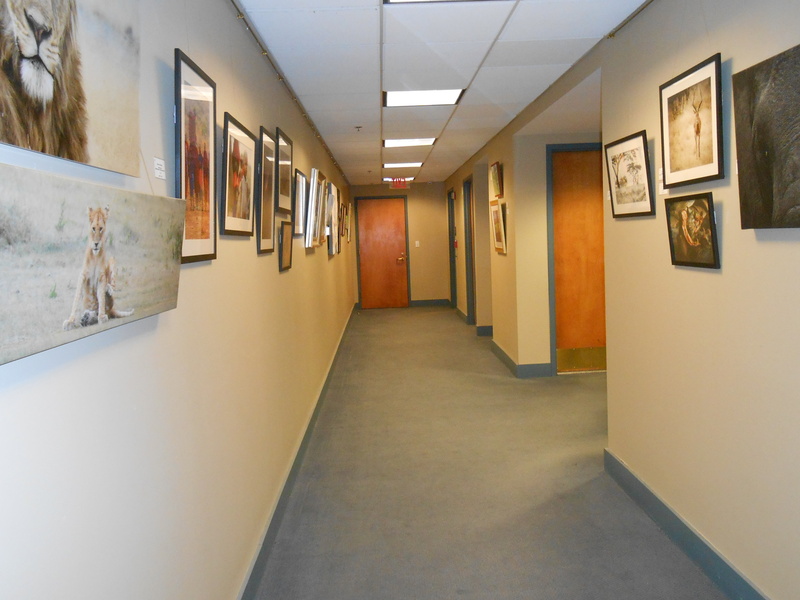 The Gallery at 100 Market Street in Portsmouth is open Monday-Friday on all 4 floors. The 3rd and 4th floors are not available on the week-ends. This show runs through mid-February. Instead of Facebook :)-daily posts here!! I seem to find myself daily telling my little FB world about my art-and I am certainly missing a much larger audience. So…I can always start here, and repost to FB. Crazy, silly busy week-end in this area for art openings. 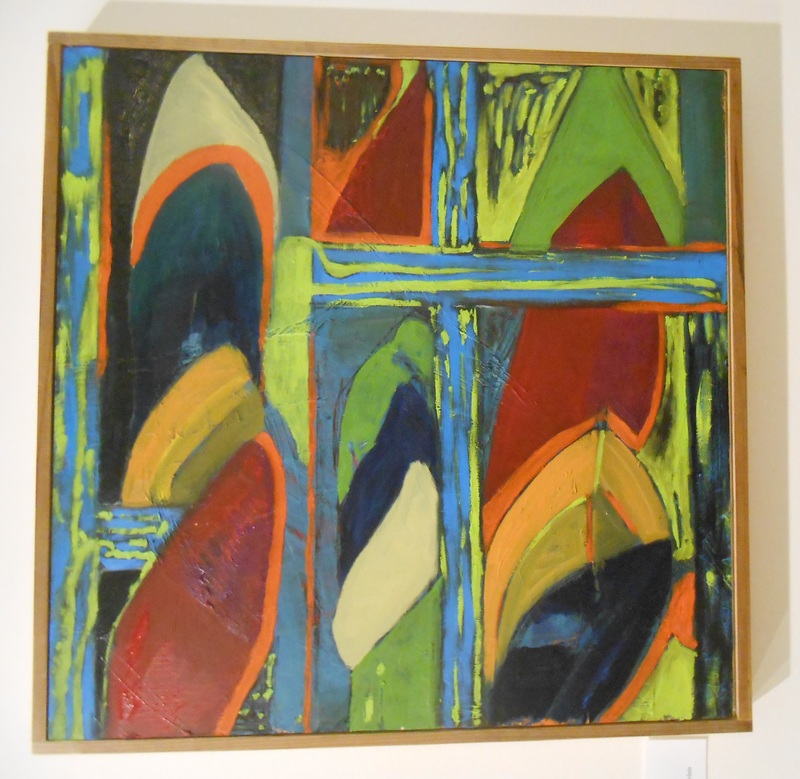 The first that I attended was on Friday, for the Gallery at 100 Market, in Portsmouth, for their spring show. I have two pieces in this show.